Another classic thanks to Netflix UK. Who would have thought a woman bed bound and listening to a conversation of the telephone would be such a thrilling film. 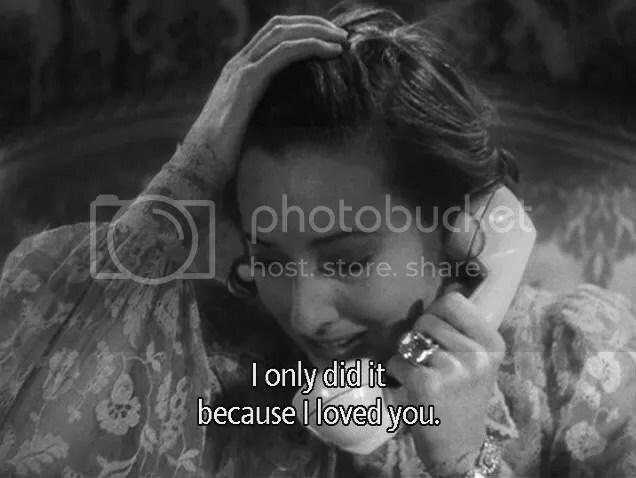 Well this sure is and the performance from Stanwyck is incredible. I caught up with this classic thanks to taking part in a Blogathon! All about films from 1984 so which film was better to watch than Nineteen Eighty Four itself? Big Brother is always watching. Parts of this one are deeply disturbing and I don’t think I will ever watch it again. But at least I have now seen it mainly for the performance from Harvey Keitel! A young couple meet and spend the night wandering around Paris together talking. Why on Earth did it take me until 2014 to eventually watch this? I instantly fell in love with it, so unique and groundbreaking. Luckily I didn’t have to wait nine years to then watch the second part, again this is groundbreaking. A second chance and above just shows that everything is going to change for them now they have eventually found each other again. I had tried to watch this in the past but couldn’t get into it. I tried again and found myself loving this film and then watching a few more times. It really is something else, just make sure you give it a proper chance I wish I had first time round! So pleased to say I have eventually caught up with it. I think the above pretty much sums up this film, the ending of an incredible trilogy. What a lovely yet tragic story. The innocent of children in the war really highlighted in this heartwarming and then heartbreaking tale. The idea behind watching this was to then go and see the sequel, but I ended up watching this and not catching the sequel. But never mind. I like the concept of this film, even if it doesn’t deliver in the best way. Let’s see which films will make this list next year as I attempt to catch up with some films I have somehow missed over the years! As always any recommendations are welcome! I really wanted to see The Book Thief after reading so many good reviews, but I never got round to it. Does it live up to the hype? Yeah it really is worth watching, I was surprised as it was better than I expected it to be. The performances from the two young actors as brilliant! Nice list, i actually watched The Book Thief last night for first time, i also plan to see the sunset trilogy at some point. I was so pleased I watched Sunset Trilogy, can’t recommend them enough! Oh yeah I really didn’t see that coming at all, took me by surprise but that’s war! Glad you saw the Before trilogy. They are quite good, wish they would be released on Bluray. And yeah, Gable is really good in One Night. Oh yeah they are something else. Think I need to watch more of Gable’s films he always just seems so cool. Cool list. I still haven’t seen any of the “Before” movies. I’ll have to rectify that one of these days. Yeah, the biggest problem with “The Purge” is that its concept is far greater than the actual film which is merely okay. I really do recommend the ‘Before’ films! Yeah The Purge was very disappointing, I think I was having a very Ethan Hawke year! I love this idea for a end of the year top 10 list. Some really good movies mentioned. Obviously the ‘Before’ trilogy is well represented. I’m really glad to see The Book Thief on there. I loved that movie but for some reason it wasn’t really well received. I just recently posted my best films of 2014, but you have me wondering what would make my list if I were to do something like yours. Several movies are popping into my head already. I think you should do something like this too, see which films will make the list. Oh, It Happened One Night made my top 5 of the Blindspot movies I saw last year. Glad you like it too, Caz! It had so many lovey and brilliant moments. Think I’ll be watching it again soon!